Interior space 574-578 SQ. FT. + outdoor space 49 SQ. 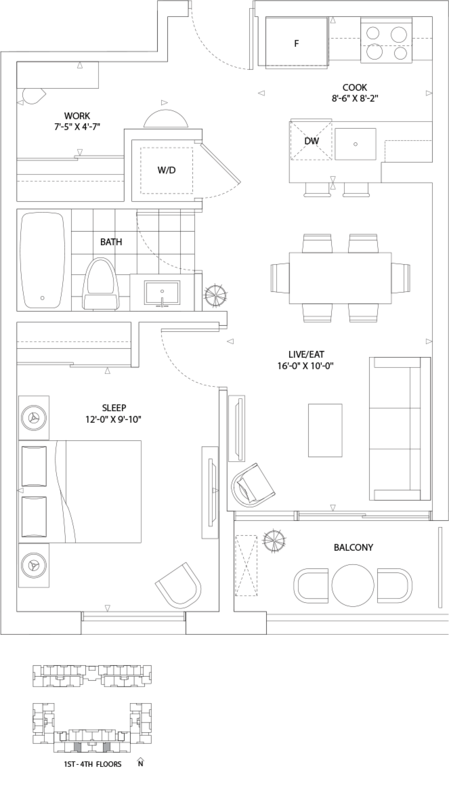 FT.
TOTAL LIVING SPACE 623-627 SQ. FT. Interior space 622-639 SQ. FT. + outdoor space 69 SQ. 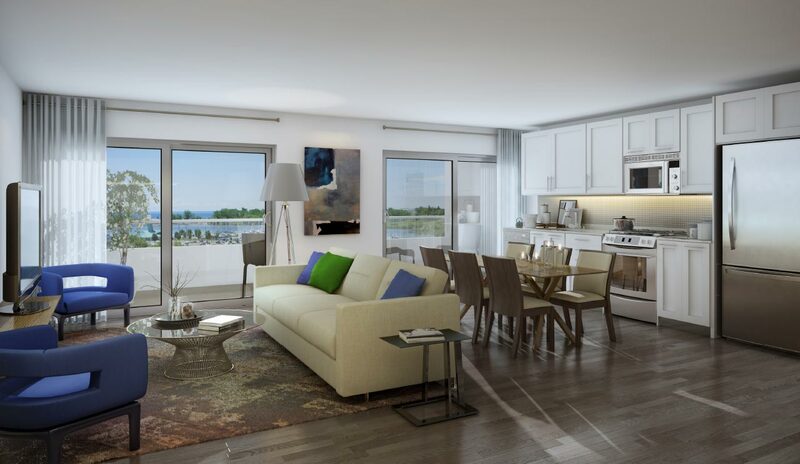 FT.
TOTAL LIVING SPACE 691-708 SQ. FT. Interior space 676 SQ. FT. + outdoor space 49 SQ. 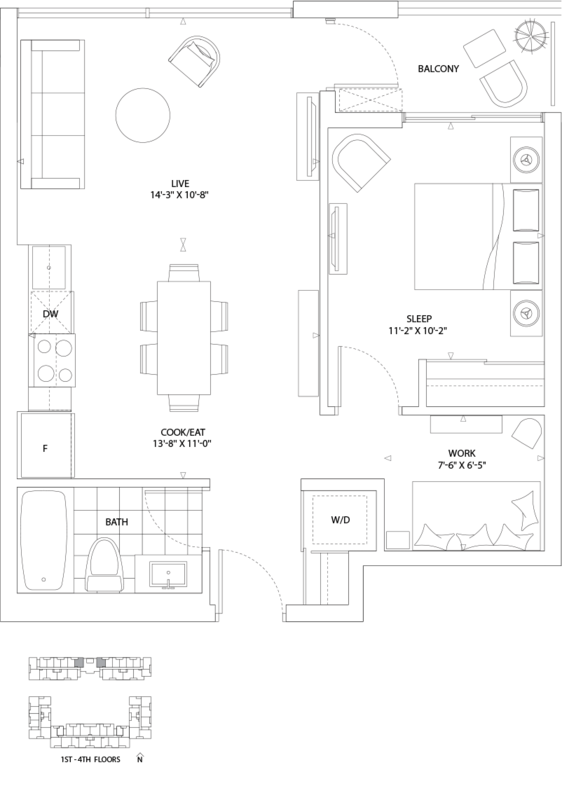 FT.
TOTAL LIVING SPACE 752 SQ. FT.